Just presented this comfort quilt to a friend who recently lost her sister. A quilty hug. Her sister loved roses so this piece of fabric with pink roses seemed perfect. 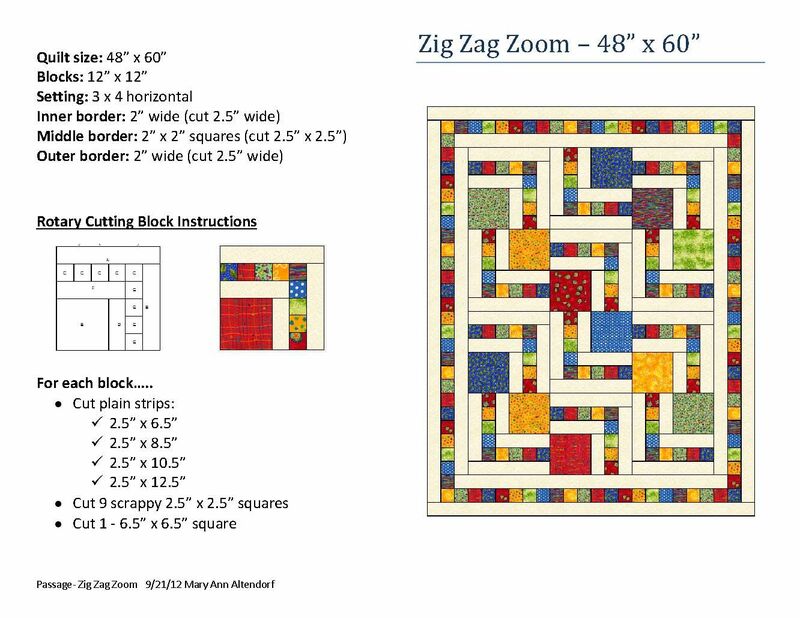 I used the pattern "Zig Zag Zoom" by Mary Ann Altendorf. A quick and easy pattern to sew up. 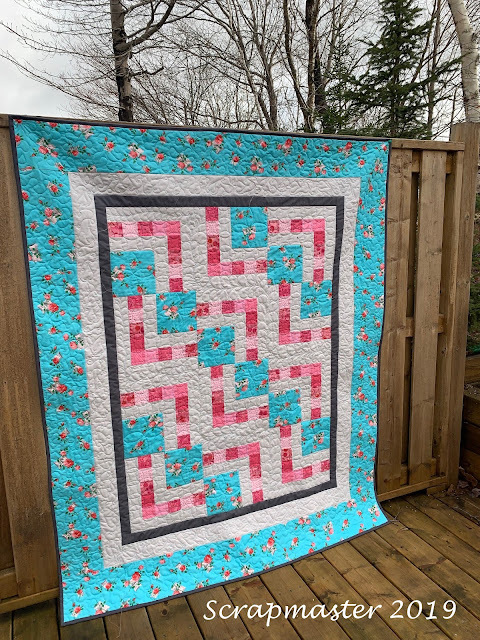 I made 12 zig zag blocks and added three borders to make it a nice sized lap quilt. I pieced the back using leftovers from the front combined with Kona Silver. I free motion quilted feathers and tea leaves in the main body and did a large meandering and loop-de-loops with hearts in the borders. I know this little quilt will bring comfort to my friend. She is not a quiltmaker but she is most definitely a quiltlover and appreciates all the love and skill that goes into making a quilt. I’m so amazed at how beautiful this came out, Linda! There is no doubt it will be cherished. What a wonderful and thoughtful gift for your friend. I'm sure it will be loved and appreciated. Fabulous quilt for such a thoughtful gift. Love how you quilted it! Linda, you are such a kind and thoughtful friend. 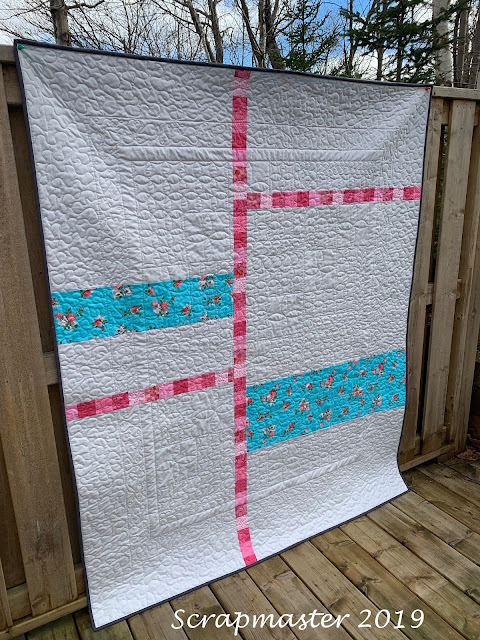 Your quilt is so pretty, and your quilting - wow. It will be a comfort for sure. What a GREAT quilt (and pattern!) Such a sweet gift. This is a great pattern. It's an awesome quilt that I'm sure will be loved. This will be such a lovely memory of her sister. 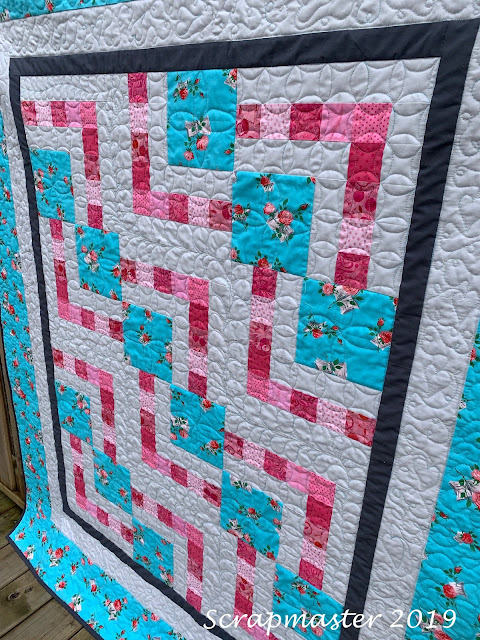 It is a beautiful quilt and your quilting is just beautiful. Beautiful quilt and the quilting is spot on. It will be treasured. Thanks for stopping by. I love to hear from you and I really appreciate that you have taken the time to leave a comment. Hi! 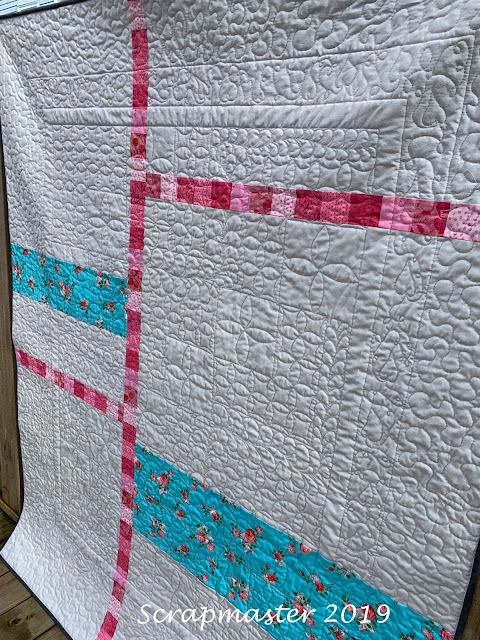 Welcome to my quilting blog. My name is Linda and I live in beautiful Halifax, Nova Scotia, Canada. I have three adult children and have been married to my amazing husband, Mike, for the past 41 years. My passion in life is my family and my quilting. I am #17 on the list!